Ukiyono Kaze scored on her debut at Tokyo Racecourse. Red Raven showed a turn of foot in the Hyakunichiso Tokubetsu at Tokyo Racecourse. He is two year old colt. He has won two of his two career starts. Lelouch won his first grade stakes in the Copa Republica Argentina at Tokyo Racecourse. He is four year old colt. He has won 6 of his 11 career starts. Pedigree : Zenno Rob Roy ex Danseuse d'Etoile (by Highest Honor). 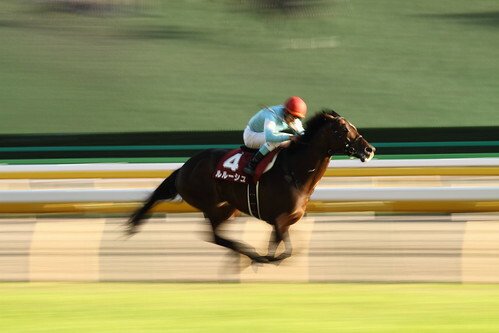 Favorite Roman Legend recorded his six straight in the Miyako Stakes at Kyoto Racecourse. He is four year colt. His career record now stands at 8 wins in 11 starts.